Are you one amongst the many who are grief-stricken due to the banning of ICO advertising on social media? Well, you might want to read between the lines. While every other company is launching a coin, it is best to think through the situation before initiating the process. A Whitepaper is considered the stepping stone to success. Imagine it to act like a manual. A manual to attract investors and guide them through the process. Incredible technical knowledge and a well-established team are mandatory. A massive chunk of advice would be: Know what you’re doing. Providing solid proof on how your company is reputable. 3. It’s all about marketing! Our world is constantly driven by marketing. It’s no less when it comes to an ICO. You need to have a bird’s eye view. Yes, the marketing strategies should be on point for a successful ICO. While there are numerous companies claiming to offer the Best ICO marketing services, very few live up to expectations. It doesn’t stop there, of course, Don’t panic! The best option is available. 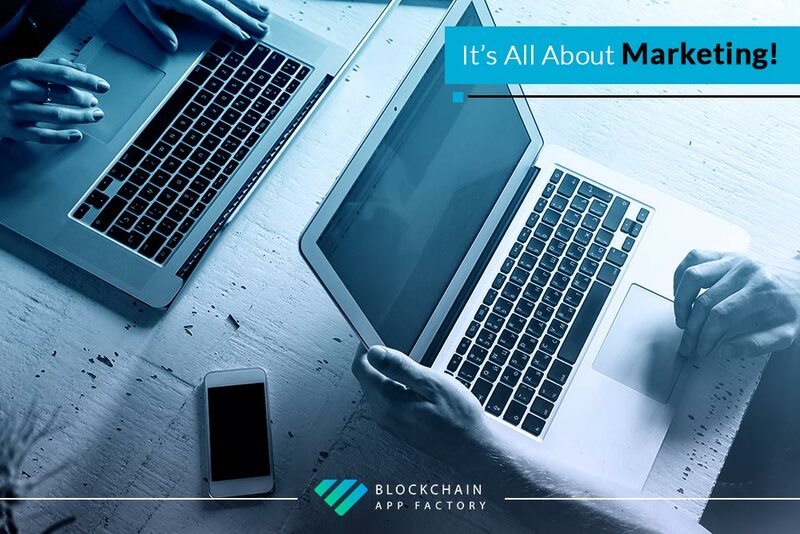 Blockchain App factory imparts the finest services in town. They not only build cryptocurrency, exchange software and so on, but also offer exceptional marketing services. A pioneer in cryptocurrency marketing services, they possess an arena of features to create the best ICO. Advertising in the crypto world is a cakewalk for them. Their team of experts work through goals and makes businesses an enormous success. Stop your search right here and make use of this opportunity!